The All Wood Fantasy Cat Tree comes in 5, 5½, 6, 6½, 7 and 8 feet heights. The specialized 3 point anchoring method provides a strong connection to the base and gives the tree a great deal of stability even when filled with large cats. It can be used outdoors if it is placed in a protected space such as a screened in patio or deck. This can extend the life of the finish and help keep your cats from harm. 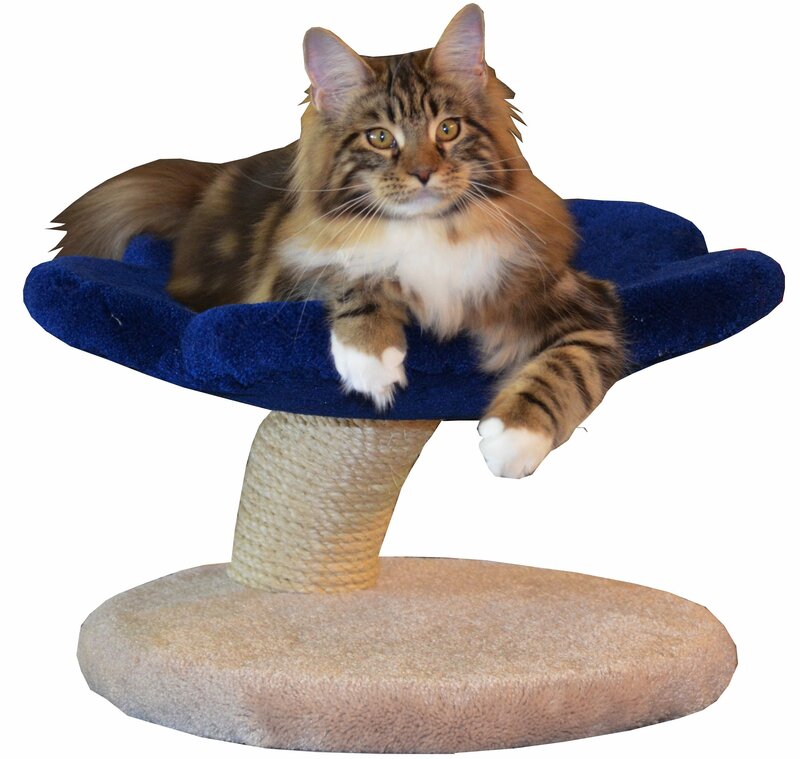 When used indoors, the All Wood Fantasy Cat Tree aids in keeping allergens under control and is easy to clean and maintain. This can promote a "near" hypoallergenic environment in your home. By choosing the Sisal Rope Upgrade, the All Wood Fantasy Cat Tree becomes an indoor tree and a great scratching post for your cats. While not as effective as the All Wood Fantasy Cat Tree without rope on the trunk, this model can also help to minimze allergens in your home. Regardless of your choices, you cats will thoroughly enjoy their All Wood Fantasy Cat Tree.